Computational scientists from Pacific Northwest National Laboratory are playing key roles in an international workshop focusing on the importance of software in high-end computing (HEC). The Second International Workshop on Parallel Programming Models and Systems Software for High-end Computing (P2S2) will be held in Vienna, Austria, in September 2009. 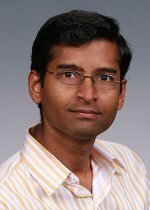 PNNL's Abhinav Vishnu is the workshop co-chair while fellow colleagues Sriram Krishnamoorthy and Jarek Nieplocha are on the program committee. HEC architectures have ushered in an era in which HEC-enabled simulation is considered a third pillar of science along with theory and experiment. Rapid advances are taking place in different aspects of HEC architectures in an effort to improve performance. These advances in the fundamental architecture of HEC architectures mean little, however, without appropriate software components that enable high-performance applications to take advantage of these architectures. System software plays a crucial role in exposing the raw performance of the underlying hardware in an efficient manner. Equally important are innovative, high-performance parallel programming models that enable scientists to express parallel algorithms so that they can execute efficiently on HEC architectures. "The goal of this workshop is to bring together researchers and practitioners in parallel programming models and systems software for high-end computing architectures," says Vishnu. 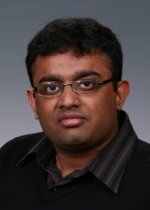 As co-chair, Vishnu is involved in organizing the workshop, assigning papers program committee members, and organizing and analyzing reviews to ensure high-quality papers for the workshop. 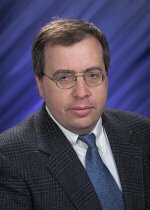 In addition, he also will be adjudicating the best overall papers to be recommended for a special issue of the International Journal of High Performance Computing Applications.